Suitable for commercial or residential installations in either a wet or dry environment, including kitchen backsplashes, shower walls and pool borders. 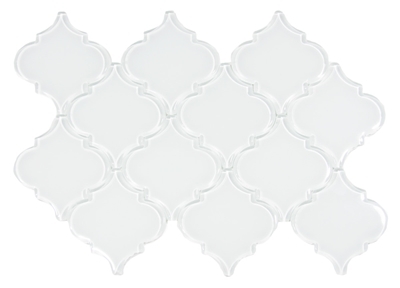 Marrakesh series glass tiles are sold by the sheet, comprised of 12 mesh mounted tiles. The individual tiles measure approx. 5"x4" and have been cut by a waterjet process giving them smooth beveled edges. Sheet size: Approx. 13.3 x 9.45"